As more and more quality CBD, Kanna, Kava, Kratom & Nootropics vendors come to the marketplace, KVR will announce new vendors, their Web Site and contact information here. Stay tuned for the latest vendor additions! Want to see your products here? Contact us and let us know! About: High Sierra Herbals is your one stop shop for high quality kratom capsules and kratom powders. We are dedicated to providing only top quality products and services. If you are dissatisfied for any reason send us an email and we will make it right. We proudly stand behind our wide variety of products which get delivered to you with fast shipping and free shipping on orders over $20. Here at High Sierra Herbals we believe that customer service and customer relationships are what make a company great. We will answer any questions you have and you will never talk to a machine or get an automated response. We believe in a quality product and consistency in every order. We make sure that every new shipment we receive is of the same quality as our last. 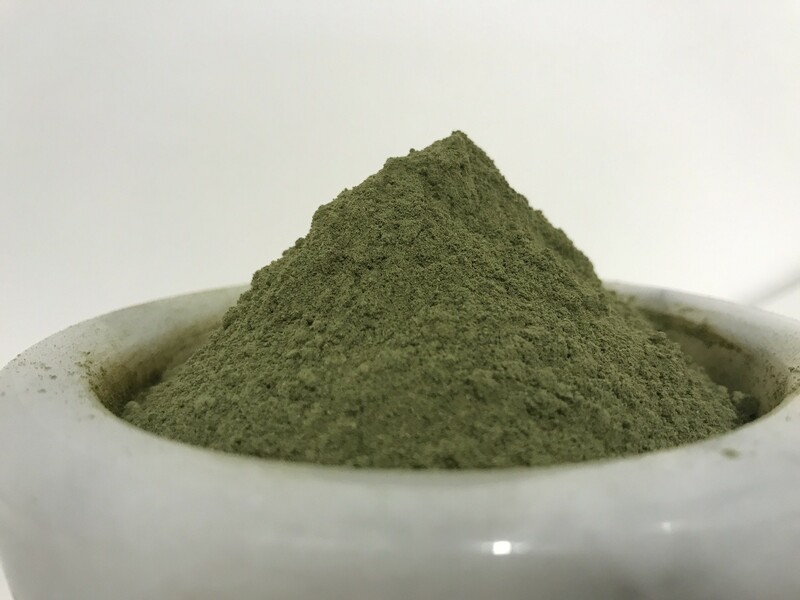 Our kratom has been tested at Wonderland Labs in California and came up with absolutely no adulterates, bringing you 100% pure natural kratom. Products: High Sierra Herbals not only carries the most popular Kratom Strains and Colors, including Red Maeng Da, Red Dragon, Red Thai, Green Maeng Da, Green Malay, Green Borneo, White Sumatra, White Maeng Da, and White Thai, they also carry their own signature blends that include Sierra Relax All Day, Sierra Sunset Blend and Sierra Sunrise Blend. Over the next week or so, we'll be excited to experience some of the quality aromas from High Sierra Herbals. It's impressive to note again that High Sierra Herbals sources all of it's kratom from only top quality vendors to bring you a superior product that they are very confident you will enjoy. Their kratom has been tested and came up with absolutely no adulterates, only pure natural kratom. They also offer FREE! Shipping on Orders over $20! Green Maeng Da Kratom Capsules: Green Maeng Da originates in Thailand and is known for its high alkaloid content. The “Maeng Da” kratom strain was created to make a strong powerful plant for the farm workers in Southeast Asia who had long strenuous work days. Green Maeng Da is one of High Sierra Herbals most popular strains. An all day strain that has a powerful green color that can ease even those most stressful days. KVR Impressions: When evaluating the aroma of this GMD, one of our staff - who considers herself a Green Maeng Da Connoisseur - asked to the one to sample this particular aroma. When she arrived back in no less than 15 minutes with a big smile on her face, we knew that she was happy with the process. Her initial comments were very positive for the fresh smell and soft texture of the powder inside the capsules; the capsules themselves were well packed; and most of all the resealable pouch packaging of the capsules allowed for them to be sealed back up to keep everything fresh and dry. The experience itself was very positive. Potency was on par with quality brands like Krabot and Laughing Lion Herbs while the uplifting and mood-enhancing properties were virtually unmatched. The length of the experience was also longer than the average sample. Her overall thoughts were an enthusiastic 5-Star Rating. Red Dragon Kratom Capsules: Red Dragon is a dark red strain. The color of red dragon can be associated with pain and night time, which is when this potent aroma is best enjoyed. Red Dragon is a very popular red vein kratom at High Sierra Herbals. Sierra Relax All Day Blend Kratom Capsules This specially crafted blend is made up of mostly green vein kratom. This green color is intended to be enjoyed all day, especially for long stressful days. This relaxing green color can bring peace of mind and a sense of calm. 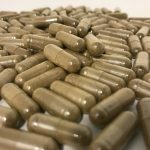 Sierra Sunset Blend Kratom Capsules Sierra sunset was made with careful selection for those darker colors that embodied the night time. Made up of mostly red vein kratom this sunset blend is a sedating red color. This sunset red color can bring ease to those aches and pains. KVR Impressions: Bliss. Serenity. Positivity. For those who seek a respite from their stressful day or hectic pace, this is a Blend that is not unlike perusing your local Vitamin Store in search of something wholly natural to combat the hustle and bustle of everyday life. The red nature of this strain was plainly evident in the deep (almost brown) hue of this unique mix. Within what seemed like only minutes, the Sunset Blend aroma made its presence known. The analgeisc properties were also evident. Fibro pain was much less prolific than before while thoughts of it even previously being there were absolutely nowhere to be found until we stopped and thought about it. If you're a fan of red aromas, this is a Blend that should definitely pique your interest. We couldn't see where anyone wouldn't appreciate its appealing attributes. White Sumatra Kratom Capsules White Sumatra is native the the Sumatra island in Indonesia. This is a very bright white color which is best to be viewed in the morning time. This bright white can bring a sense of focus and a pep in your step! White Sumatra is another favorite at High Sierra Herbals. KVR Impressions: This was one of our first encounters with the White Sumatra aroma and it turned out to be quite an enlightening experience. First and foremost, pay heed to description from High Sierra about taking this in the earlier hours of the day. Our sample was introduced in the very late afternoon and the experience lasted well into the late evening hours; making sleep more challenging. That aside, this is a very energetic aroma. So much so that it could probably stand on its own if one were considering this as an asset for a pre-workout or things-to-do list. Confidence, spirit and focus was elevated, though analgesic attributes didn't present themselves enough to be noticed. White Sumatra is probably not one of our personal favorites but we can easily see where it could have numerous fans who appreciate its unique experience. One last note; this is a potent aroma. Newbies to this strain will want to start small and work their way up as they gain experience - much like you'd do with a pre-workout formula. 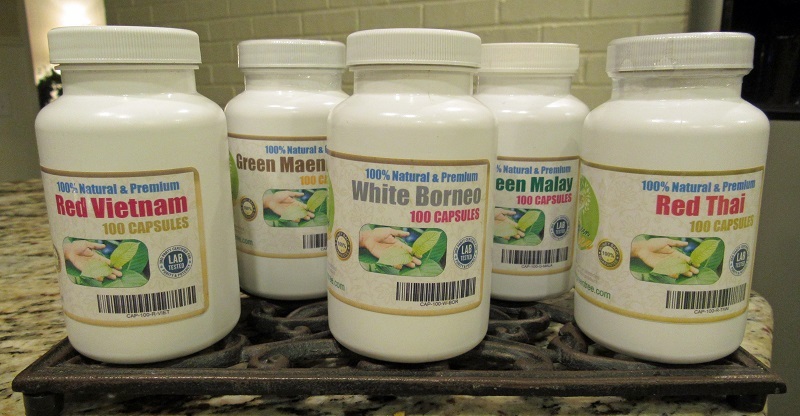 White Thai Kratom Capsules White Thai like it’s name states originates from Thailand. This white strain has been known to be used by laborers in Thailand who work long strenuous hours. A nice bright white which can calm the mind. About: At Gold Standard CBD, we stand behind our products because we know our products are Pure Gold. Gold Standard CBD also provides a comprehensive overview and numerous FAQs of CBD, including, "What is CBD?" - CBD is one of many cannabinoids that interacts with the body’s endocannabinoid system. This system affects the body in a variety of therapeutic ways and is responsible for regulating mood, pain, inflammation, the immune system, stress response, as well as a variety of other key functions. "Is CBD Legal?" - Yes! CBD products extracted from industrial hemp are legal to both sell and purchase throughout the United States. All Gold Standard products fall below the 0.3% THC threshold for hemp products under the 2014 Farm Bill. 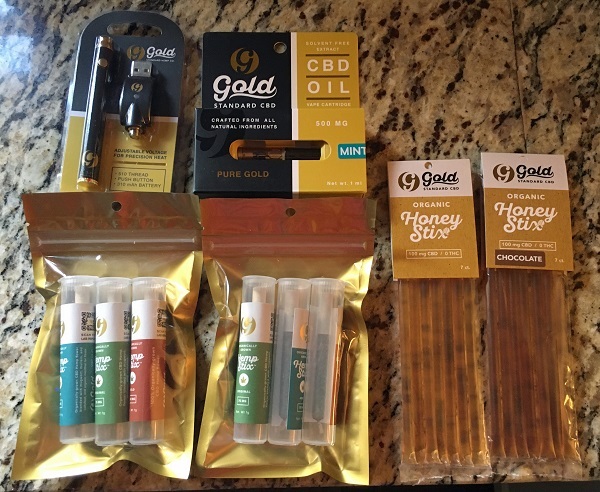 Gold Standard CBD carries several 100% Natural, Vegan and Non-GMO Vape, Smokable & Edible CBD products, including 500mg CBD Hemp Flowers 3.5g, 750mg Hemp Stix Original, 750mg Hemp Stix Mint, 250mg CBD Vape Cartridges in Chocolate, Mint or Natural, 500mg CBD Vape Cartridges in Chocolate, Mint or Natural, and 250mg CBD Vape Kits in Mint or Natural. Over the 10-14 days, we'll be fortunate enough to sample several of the Gold Standard CBD Products. Right from the start, we were impressed with the Certificate of Analysis that came the products, including: the Analyzing Company; Date of Analysis; Compound Breakdown; Cannabinoid Distribution Percentage; THC Total Percentage; CBD Total Percentage; and the Residual Solvent Analysis. If you want to be absolutely sure that the CBD product you are ordering is as pure, legal, and metal/chemical-free, Gold Standard CBD is....well....the Gold Standard when it comes to feeling good about what you're ordering. 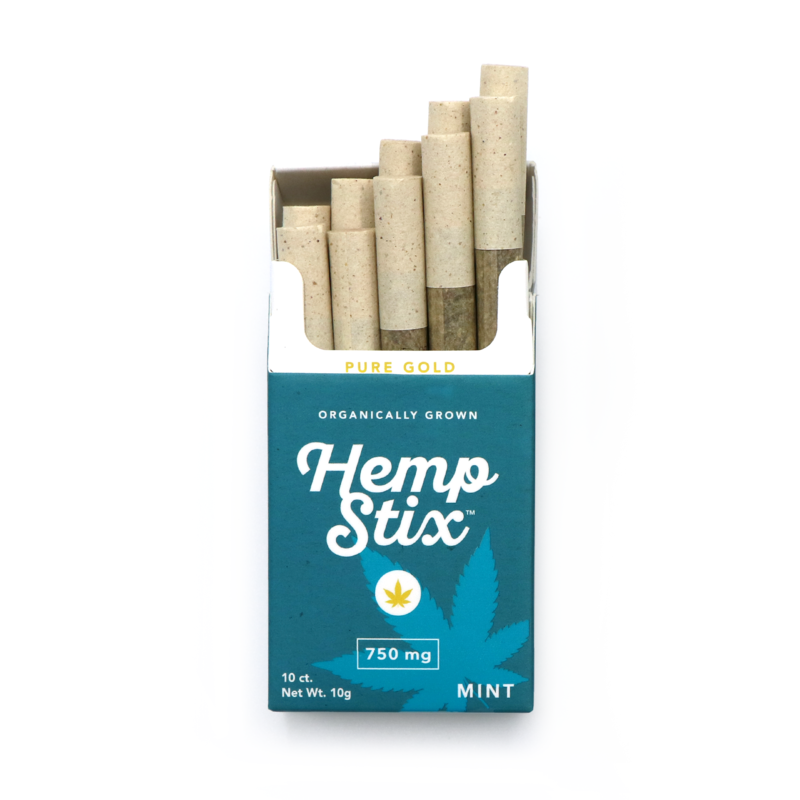 Gold Standard CBD Hemp Stix Mint: This one caught our eye first as it was the first example we'd seen of a seemingly more traditional way of experience the reported benefits of CBD. The packaging looks very similar to a standard pack of cigarettes if you buy the multi-pack product. Our example was the single one. About 2/3 the size of a "100" cigarette, it was "twisty pinched" at the point like an old-school rolled one, and had a very appealing aroma to it. For those who don't smoke or might have gone a long time since smoking, the initial "inhale" might be a bit harsh, but it gets better with successive experiences. By reported accounts, this is a very flavorful product that's sure to be a hit with Menthol smokers as well. The CBD experience itself should be everything one would want and expect. Reports of relaxation, calm, pain relief and a seemingly instantaneous elimination of anxiety are words best used to describe the benefits of CBD. Gold Standard CBD should have a hit with this one. Gold Standard CBD 100mg CBD Honey Stix: Yummy! While we'd seen CBD in everything from Gummies to Coffee to Cookies, this was the first one we've seen that was pure, sweet honey. About the size of a Twizzle Stick, this is a delicious and quick way to combine the reported benefits of CBD with the natural sugar spike of honey. Available in "Natural" or "Chocolate" flavors, this would be a great addition to a morning cup of coffee or an evening (in our best British accent) ". . Spot-o-Tea." And with 15mg of CBD included in each of the 7 tubes in a very reasonably priced packge, it's easy to drop in your purse, backpack or carrying case. For those who want to be more discrete about their CBD intake, each tube is lablel-less so you can bring one out in the breakroom without incurring any raised eyebrows. It also has ZERO THC so for those not seeking a Full Spectrum CBD product, it's another great choice. 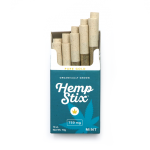 CBD is showing up in just about everything you can think of - and some you probably wouldn't have thought of - and these Honey Stix are a great choice for just about anyone. Gold Standard CBD 250mg CBD Vape Kit Natural Smooooooooth. That's the first word that came to mind when experiencing this easy-to-use, tasty and compact CBD Vape Kit. After unpackaging the kit, it was a breeze to set up. It came with a USB Charger that connected to and charged the Vape Pen within a matter of minutes. It took a minute or two to figure out the "On" button which activated a white light, but once that was solved, it was a breeze to use. For the old-school in us, we really enjoyed the pure, natural flavor. While the trend is going more and more towards all kinds of speciality flavors, there are still some of us out there who like taking a taste trail down memory lane. Just a few vapes would probably do for most everyone. The 250 mg rating of CBD seemed to be wholly accurate. Within a minute or two, it seemed effective. We had heard through several reviews on the KVR site that CBD was an effective deterrent for headaches, so we purposely waited until we had a allergy-induced headache to try it out. Can't speak for everyone, but it was an almost instanteous reduction in pressure and pain. Score another reputed beneift of CBD! And given the very fair price for the entire kit (with replacement cartridges also available in 250 mg, 500 mg, Chocolate and Natural Flavors), it's a good deal too. If you haven't given Gold Standard CBD a try, we can highly recommend them. 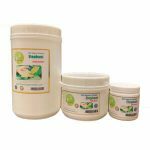 Buy kratom online from kratom enthusiasts! After ordering and using from other vendors, we thought there is so much to improve in this industry. From consistency of the product, the packaging, shipping and payment… all can be improved. So we started our own business. We have found the original farmers and the company representing them, and build a close relationship with them. By importing directly from Indonesia, we have ensured the products are original, natural, high and premium. Then we test every batch of our products when they get into US, with 3rd party lab, to ensure the safety and quality of the products and the minimum level of alkaloid of 1.7%. We are based out in Las Vegas, Nevada. Our staff are friendly and eager to help, they are professionals in this business, and they know your needs and willing to fulfill. We offer the best packaging in the country for the products, because we value our products. And at the same time we offer the most competitive and affordable pricing for the products. For all products, We offer a 30 day money back guarantee, no question asked. We want you to know that you have nothing to lose to buy from us, and only get the best products and best price. Evergreen Tree carries a large assortment of Kratom Powders and Kratom Capsules - including the staple strains such as Red Bali Capsules, Red Bali Powder, Green Malay Capsules, Green Malay Powder, Red Maeng Da Capsules & Red Maeng Da Powder; they also carry harder to find strains like Elephant Capsules and Elephant Powder. Evergreen Tree Kratom is also a great value, with 100 Capsules or 500g of Powder for only $29.95! And to top that, if you are a first-time purchaser, you can use Coupon Code: firsttime20 at Checkout to save an EXTRA! 20%. Start Shopping Now! View All Evergreen Tree Capsules and Powders. 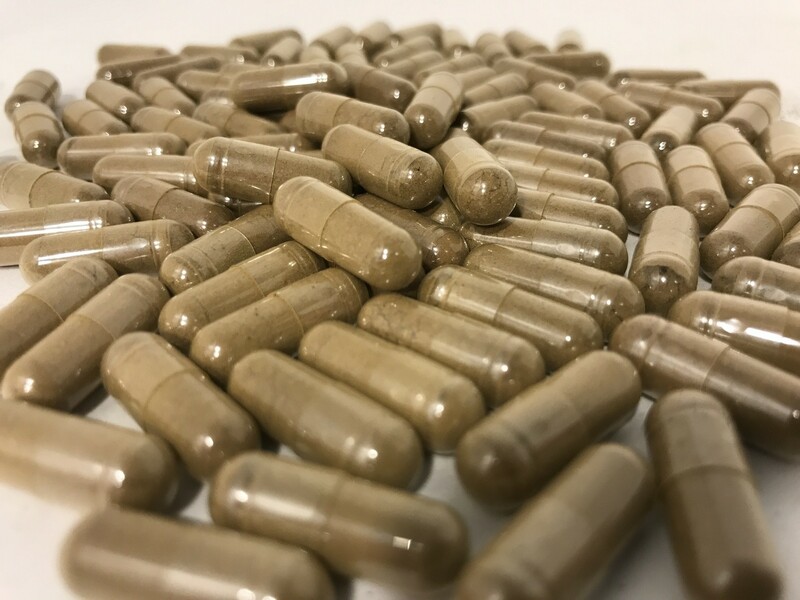 Green Maeng Da Kratom Capsules - If you're looking for a potent mix of pain relief, energy and an overall positive outlook on things, this is the strain to go with. Maenga Da is considered one of the strongest strains out there and this one doesn't disappoint. Not recommended for the first-time user becuase of its potency. The duration is long as well - almost 4 hours! Red Thai Kratom Capsules - If you're searching for something that is a good choice for a first-time Kratom experience and would like the beneift of some pain relief and/or sedating effects to wind down from a long day, Red Thai is the right way to go. There's a reason it's so popular and this would make a great introduction to the experience. Prepare to understand what all of the talk is about! Red Vietnam Kratom Capsules - Calm. Serene. All is good. VERY good. Though harder to find than some strains, Red Vietnam is becoming increasingly popular and once you experience it, you'll understand why. This is one of our Top 3 Favorite Strains as its a great choice for just letting one's self escape for a bit. If stress and the weight of the world is getting to you, find yourself a happy place and experience this euphoric strain. 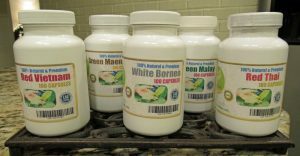 White Borneo Kratom Capsules - Here's a strain that is the perfect fit for somoene who wants to experience as much of the Kratom sensations as they can. Seemingly equal parts energetic, anxiety reducing, creating a positive outlook and long-lasting, this is a strain for someone who wants a long-lasting expereince as well. White Borneo might even replace your morning coffee routine. People rave about how much White Borneo gives them a mid-workday boost as well - even replacing those caffeine-crazy Energy Shots!